One New Year’s Day, in the Tournament of Roses parade, a beautiful float suddenly sputtered and quit. It was out of gas. The whole parade was held up until someone could get a can of gas. The amusing thing was this float represented the Standard Oil Company. With its vast oil resources, its truck was out of gas. And yet many of us feel like we’ve “run out of gas” in our Christian life; or at the very least, “running on low.” Why is that? Well, it could be the result of our prayer life (or lack thereof). Prayer really is the gas that fuels our Christian life. Thats why Paul said to “pray without ceasing,” in 1 Thessalonians 5:17. Happy? Pray. Sad? Pray. Confused? Pray. Frustrated? Pray. You get the idea. James 5 says that prayer works in our lives when we pray by faith and when we are living righteous lives. Are you praying by faith? Do you truly believe God is listening and answering? Are you pursuing a righteous life? A right walk with God will lead to right living. Unconfessed sin leads to an ineffective prayer life. Prayer isn’t for perfect people. But it is for those who are pursuing God in their lives. God listens to those who humbly pursue Him. Christmas time is a time for gifts. As a dad I love to give gifts to my kids. Our heavenly Father is no different. Matthew 7:11 says that God loves to give good gifts to His children. By faith and in righteousness, seek God in prayer. And here’s the promise… He hears and loves to respond with good, good gifts! How is your prayer life right now? What is effecting it? 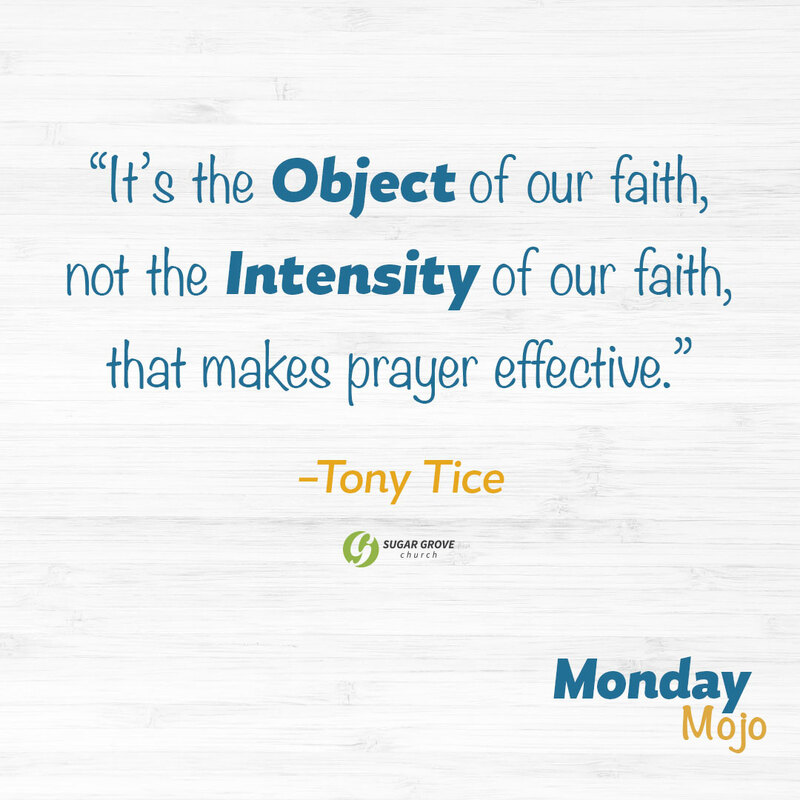 What is one step you could take this week to apply the principles of prayer we talked about on Sunday? What’s one thing you will pray hard about (by faith)? Find a friend and pray for each other’s needs this week. Adoration: Thank God for who He is. Confession: Ask God for forgiveness and/or help for areas of struggle. Thanksgiving: Thank God what He’s doing in your life. Supplication: Pray for specific needs for yourself and those around you.